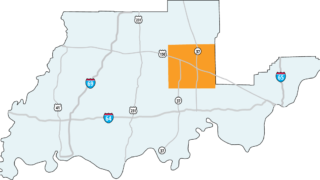 Just east of Daviess County’s Amish community, you’ll come to a fork in the road where US 50 and US 150 split. If you take the south fork, you’ll discover one of the most opulent attractions in Indiana. In the middle of the rolling hills of Southern Indiana, French Lick and West Baden in Orange County has been welcoming travelers for over 100 years. The tourist destination is best known for gracious hospitality, ultimate luxury, and exciting adventures. West Baden Springs hotel was built in 1902 and was once dubbed the 8th wonder of the world for its 200-foot domed atrium. The nearby French Lick Springs Hotel attracted travelers for its therapeutic sulfur springs spas and breathtaking golfing as early as 1845. After a $600 million restoration and additions to West Baden Springs and French Lick Springs hotels, French Lick Resort reopened in 2007. Today, guests enjoy both historic hotels, three golf courses, two hotels, and a casino. While French Lick Resort is the area’s centerpiece, there are many other attractions in French Lick, West Baden, Paoli, and Orleans. The scenery here is stunning. From Hoosier National Forest to Patoka Lake, nature inspires adventure and discovery. Buffalo, early settlements, the Monon Railroad, gaming, and healing mineral waters paint the colorful past of the community. Sports fans may be familiar with French Lick as the hometown of basketball legend, Larry Bird. No matter what kind of getaway you’re looking for, French Lick West Baden has some of the most unique finds in Indiana. 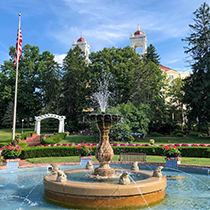 The Grand Colonnade Restaurant in French Lick Springs Hotel serves a delicious buffet in the former ballroom where FDR received the nomination to run for President in 1931. 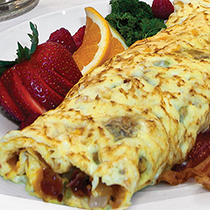 The made-to-order omelet and waffle stations offer everyone’s favorite flavors. 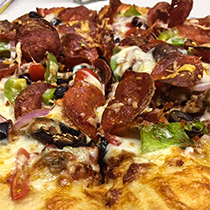 Not only does French Lick Winery serve up delicious wine, they also serve some of the best authentic Italian pizza around. The signature, old-world style, sourdough crust is the perfect canvas for the spinach alfredo, pesto margherita, and pizza bianco recipes. 1875: The Steakhouse was awarded Open Table’s 2017 Diners’ Choice Award and it’s easy to taste why. Every dish is as elegant as the décor. 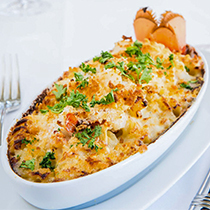 But, no matter what you order, you have to start with the lobster mac and cheese. French Lick Resort has many notable features, but it is best known for its incredible golf. According to Golf Advisor, it’s home to Indiana’s top two golf courses, The Pete Dye Course and Donald Ross Course. 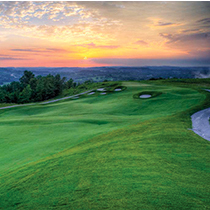 These two courses are both challenging and stunning, offering amazing views of Southern Indiana’s rolling hills. Wilstem Ranch is home to some unusual and fabulous four-legged residents who can’t wait to meet you. 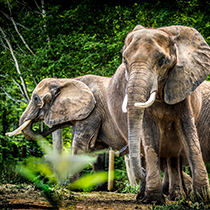 You can even help pamper some of them at the Elephant Spa Baths. Meet the rest of the gang during a giraffe, kangaroo, and grizzly bear encounter. Patoka Lake is Orange County’s not-so-hidden gem. 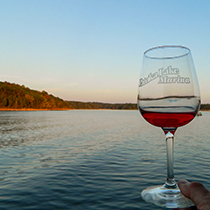 Expansive Patoka Lake offers a winery, boat and houseboat rentals, floating cabins, and scenic tours. But, the real draw is the magnificent sunsets over the lake. 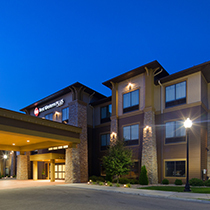 Best Western Plus and Comfort Suites are close to many things to do, with complimentary breakfasts, pools, and fitness centers. Big Splash Adventure is a great choice for the kid at heart. The tropical themed resort features indoor waterpark with a lazy river and adults-only hot tub oasis. Grab a bite or drink at one of the restaurants or the lounge. French Lick Resort boasts two opulent luxury hotels. 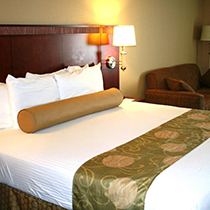 The historic lodging offers pet-friendly rooms, suites, pools, spas, golf, a casino, fine dining, and more. From rustic outdoor excursions and encounters to the finest wining and dining around, French Lick West Baden offers an unforgettable and truly unique Southern Indiana experience. On our next stop along US 150, we will we’ll journey through history in Indiana’s first capitol, Corydon in Harrison County.